Mid-September should be the height of migratory season. The Canadian National Park website even listed the particular birds that we would see. Well, they were either early birds or taking a detour because the only fowl we saw were two ducks who seemed very much at home in the marshland. No matter. It was a perfect walk in the breeze, so peaceful after zipping around freeways and trying to take in everything we could in museums for two days. For the page, I was going for a peaceful, neutral look. I'm not much of a neutral person so gold and navy ARE neutral to me. The background paper from BasicGrey's Persimmon line was perfect. It looked like the cattails we saw among the grasses and reeds. 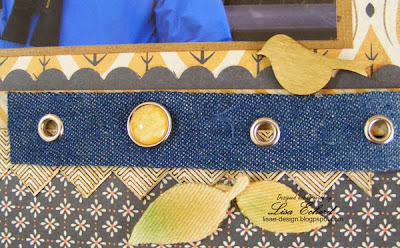 For embellishment, I stamped an image and used some pastels on Studio Calico canvas leaves. 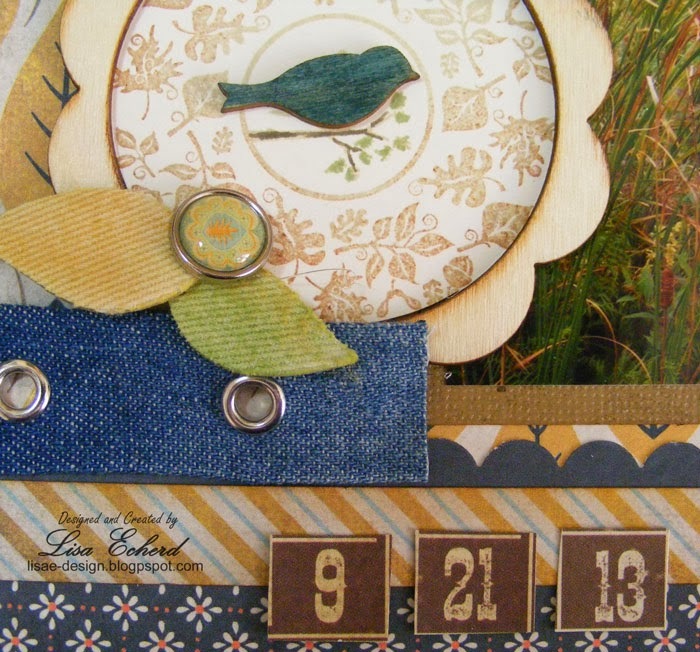 I also added a bingo card embellishment. 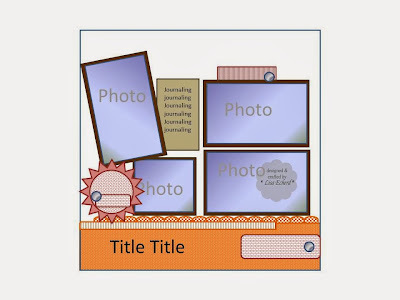 The photo mats are some cardstock repurposed from another project. I enjoy doing these process videos. I'm always looking for ways to make them more useful. Suggestions are most welcome. This is so pretty I love your autumn colours and your layout is just stunning!!! Wow! You made such beautiful paper choices to go with your pictures. I love the rustic feel of this one. 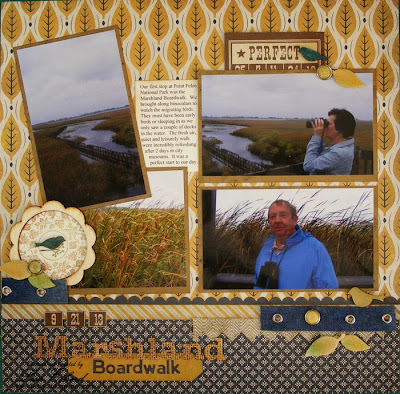 And you're right about the background paper; it is perfectly suited to the marsh pictures. Thanks for providing the sketch! I love this paper line; it's perfect for your pictures.